I have been lacking Tieka, coz I was busy being Bambi. We had our very performance at Live on the Low in the Winston Amsterdam. The last 2 months I have also been a part of the Dam Dutchess project. Which is a platform for females in Hip Hop. An initiative by Studio West led by MC Melodee. The girls participating are so talented and I feel honored to have shared the stage with them. We also interviewed them on Woman’s Word at Getmixed.fm. Where they all did a snippet of their performance. 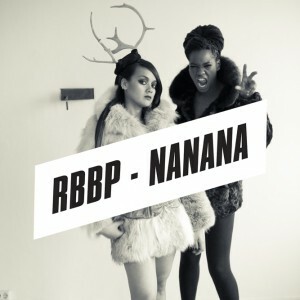 We just dropped RBBP’s very first video of our very deep song NANANA. Hahaha, I know it isn’t. Yo the world is deep enough, ya need some land to walk on. Besides, I already bring enough dramatic notes as a poet. The video was shot last year summer. We had to wait for the right timing to release it. I’m now on my third semester of Modern Art History Class! Hopefully I can do a short course of illustration. If the money let’s me. Or the universe, whaddup. We’ve also done the 2nd videoshoot of RBBP’s Grenade Girl. We’re about to record a fourth song and a remix of NANANA is on the way. I cannot wait for more. It’s crazy. And I love it. This entry was posted on Friday, February 24th, 2012 at 9:27 pm	and is filed under Crap. You can follow any responses to this entry through the RSS 2.0 feed. You can leave a response, or trackback from your own site.